If you’re anything like us then you are always losing your keys, earrings, jewellery and other small every-day pieces! 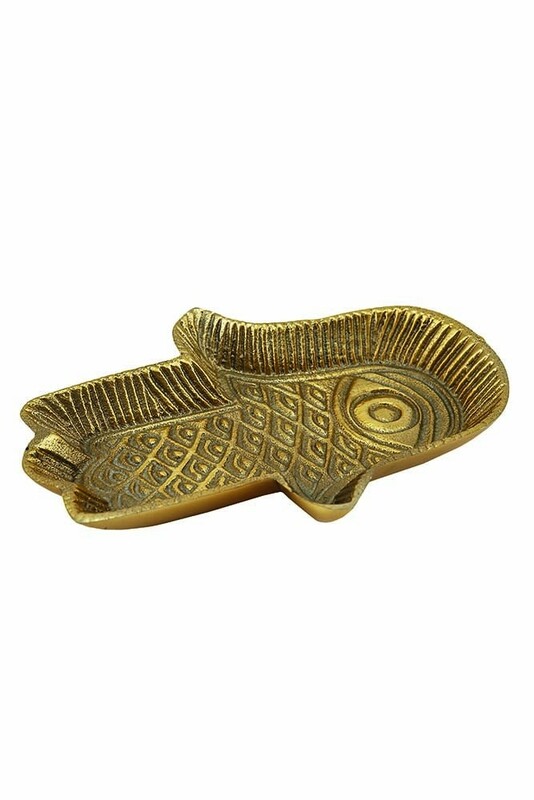 We have found that an easy solution to this problem is to dot trinket trays around the home. 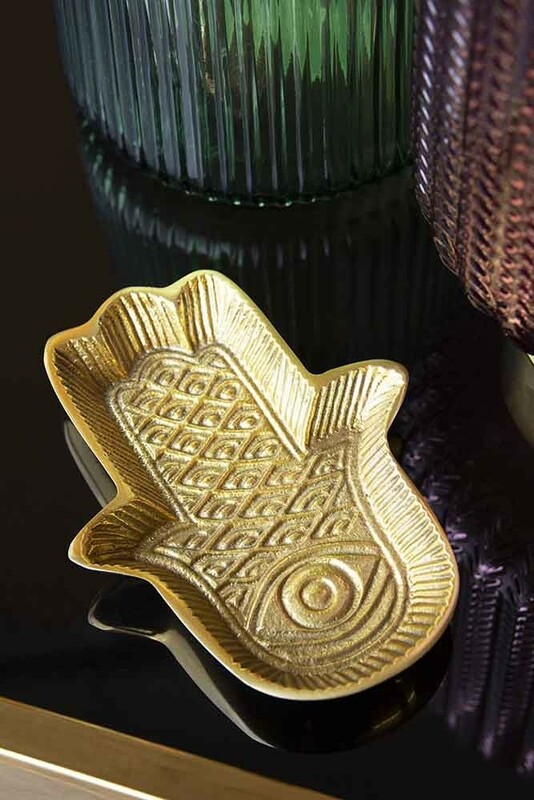 A simple way to organise yourself, the beautiful Gold Hamsa Hand Trinket Dish is wonderfully unique and makes an interesting display piece. Super useful the Gold Hamsa Hand Trinket Dish features bevelled sides and an intricate eye pattern design on the Hamsa Hand.The perfect gift for yourself or a friend, style the Gold Hamsa Hand Trinket Dish on a bedside table, chest of drawers, console table or side table and never lose your keys again (hopefully! ).